The month of February brings to mind cupids, hearts, and the holiday dreaded by singles, Valentines Day! But February is so much more than the short little month where a dozen roses will cost you a fortune, as we will be hearing from our speaker this month. February is also Black History month. Elaina Norlin, will enlighten us about the African-American Research Library and Cultural Center, which is a real treasure right here in our own community. Don't miss this opportunity to celebrate our diversity. We are having a visual tour down memory lane from the beginning of the African-American Research Library and Cultural Center to the current preparation for their upcoming 15th year anniversary. It began with the dream and vision of one man. Samuel F. Morrison, the former director of Broward County Library, who wanted to build a library by and about African-Americans for the Broward community and the world at large. Not just any library, but a state-of-the-art facility for research, life-long learning, community gatherings, cultural events and technology training. Morrison believed in his vision enough to inspire an entire community to follow his dream, no matter how difficult the struggle. 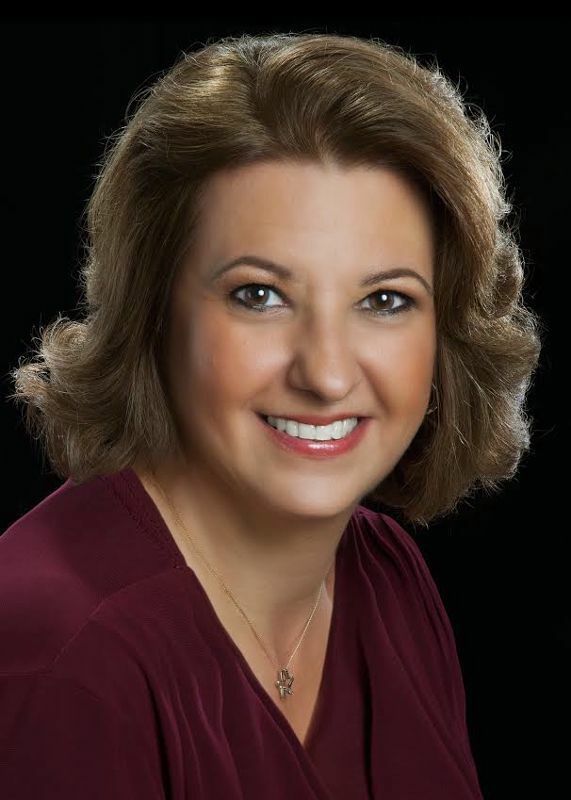 Elisa Stone is the Director of Development for Covenant House Florida since 2011. 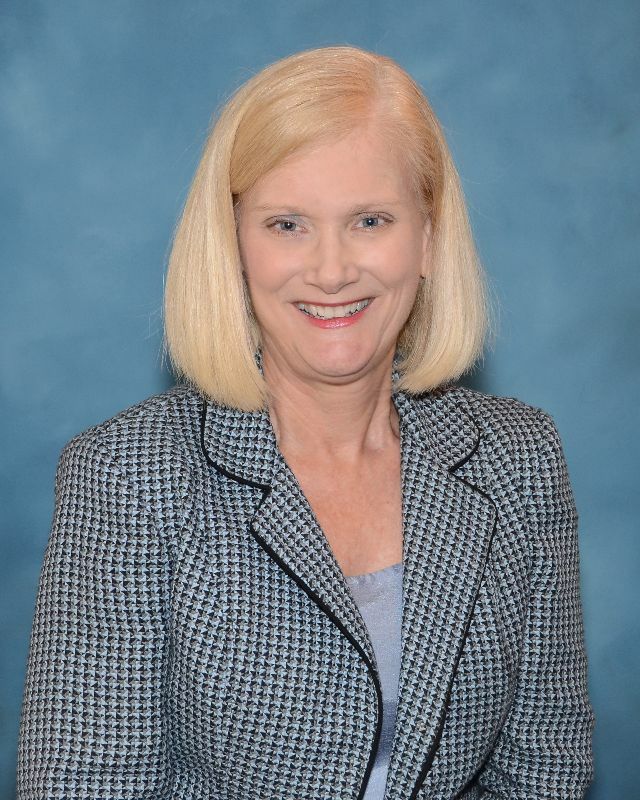 She oversees all of the funding development efforts at the organization, including direct mail, fundraising, special events, public relations and marketing. Elisa holds a B.S. 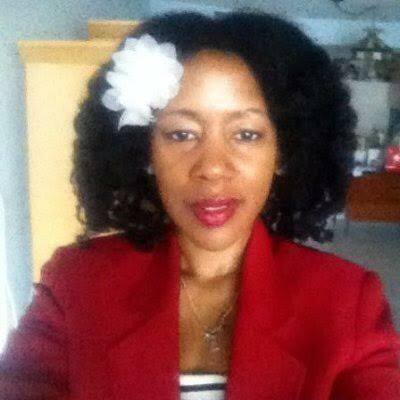 in Psychology from the University of Florida and is an active board member of the Broward County Gator Club. Elisa is the Program Chair for Leadership Broward Class 35 and a board member of Leadership Broward. 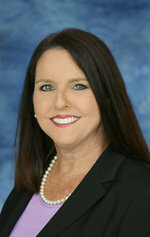 She is active in other organizations such as Chamber of Commerce Beach Council, Tower Forum and Broward Women’s Alliance. Please take a moment to say hello! Dorothy Klein invites you to the Broward Public Library Foundation’s LitLUNCH! with celebrity work/life balance coach Samantha Ettus at 11:15 a.m. Friday, Feb. 10, 2017, at the Pier Top Lounge at the Hyatt Regency Pier Sixty-Six in Fort Lauderdale. This bestselling author will share tips and stories from her book, The Pie Life: A Guilt-free Recipe for Success and Satisfaction during the event, which is the kickoff to Literary Feast 2017, the Library Foundation’s annual fundraiser. Tickets are $75 and support Broward County Library’s children’s and adult literacy programs and services. See bplfoundation.org/litlunch or call 954-357-7382. Our mission is to stop domestic violence abuse for everyone through intervention, education and advocacy. 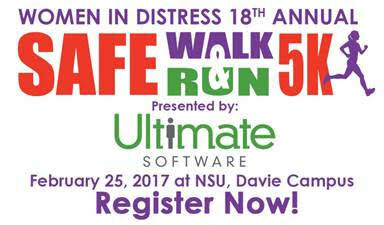 SAFEWALK-RUN 5K, now in its 18th year, has raised almost $1,000,000 towards ending domestic violence.